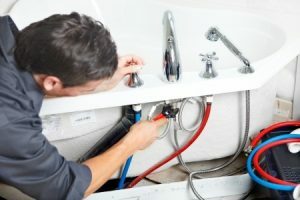 Are you looking for a professional, local plumber in Denver, CO or Westminster, CO? Whether you need plumbing repairs for your home, business, or civil organization, count on our team to respond quickly and get the job done right! Contact us for quality plumbing work and excellent customer service in Denver, CO since 1989. We take calls 24/7, so if you’re experiencing a plumbing emergency, don’t hesitate to reach out! We understand that those pipes tend to burst after hours, so we’re happy to offer emergency plumbing repairs and services to our Westminster and Denver neighbors. Small or large, we can handle your plumbing repair needs! We specialize in water and sewer line replacement, as well as drain cleaning. Contact us today at (720) 363-2907 for residential and commercial plumbing repairs in Denver, CO and Westminster, CO. Updated on October 27, 2016 at 7:02 pm by Best Plumbing of Denver.